PTO does not always mean Please Turn Over. Sometimes it can mean Power Take Off. The grain goes in then comes out. I can see the grain, good capture. Yep, that is about it! 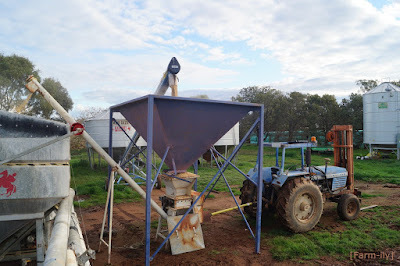 The grain is stored in the silo, goes via auger to hopper, down through the roller that's driven by the tractor PTO (just like Andrew said), back up another auger and into the waiting grouper. 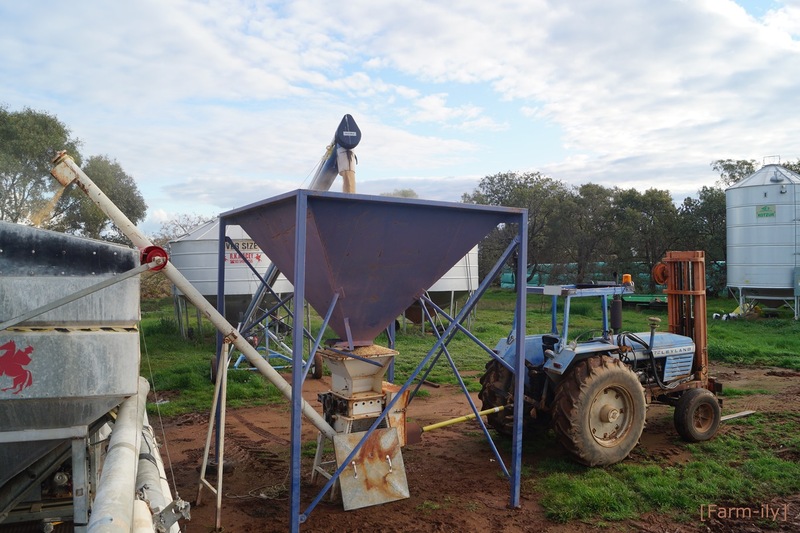 From here we take the grouper of grain to the paddock where the cattle are, and auger it into a grain feeder. The grain feeder regulates how much grain the cattle can get, so they don't binge. Now that's a clever farmer! Loved Elephant's child's comment...LOL Farmers are good at figuring things out...they have to be. Wonderful the tractor looks fractionally younger than I am.